Have you heard our story for Fall? It is a two part story. Enjoy! 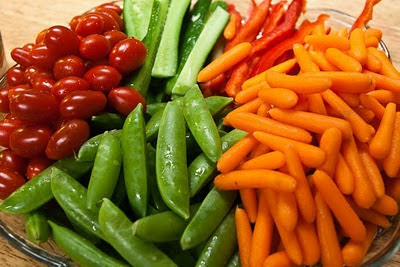 There is an abundant amount of delicious vegetables to eat on this plate! Thanks Kim for this picture full of an abundant assortment of color! 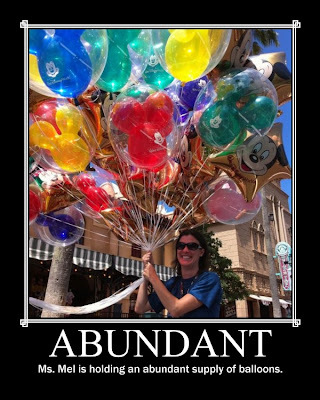 Have I started selling balloons in Walt Disney World? No, but it looked like a fun job to me! Mr. Chris and I were recently at Disney for his cousin's wedding and we spent one of the days doing a scavenger hunt the bride had put together. We had a blast! There were an abundant amount of things on the list to find in Hollywood Studios, including holding a balloon. When the balloon man in Hollywood Studios heard that I had to take a picture of myself holding a balloon, he handed me his whole bundle. I thought for a moment I might lift off the ground! There were so many things to see and do, but we stayed focused, even when I wanted to stay and sell balloons. I had abundant ideas floating around in my head of activities that can be done with this picture. I thought I would share some with you to try if you would like! 1. Count the balloons in the picture. How many are there? 2. How many blue balloons do you see? How many red ones? How many yellow ones? How many green ones? 3. Graph each color balloon on a chart. Which color is most abundant? 4. Write a story about Ms. Mel and the balloons. 5. 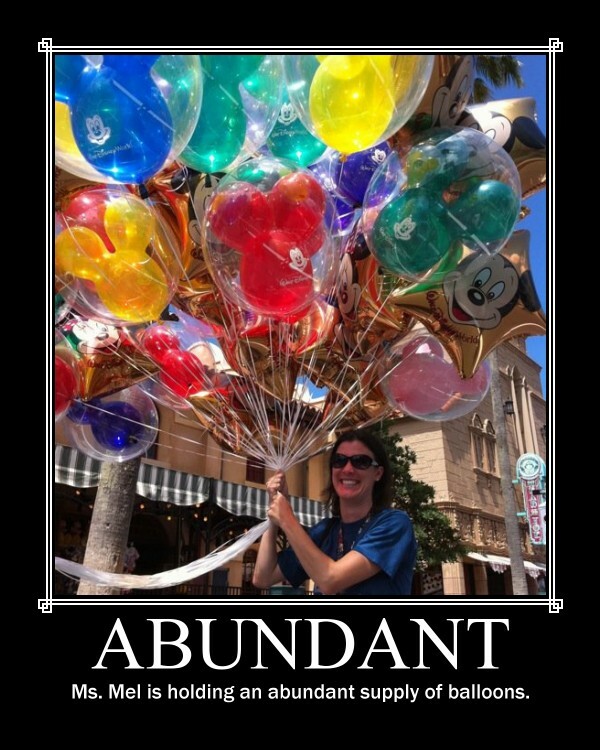 Try to use the word "abundant" this week in your conversations.